Asking the question: activity-led or working scientifically? As we start British Science Week 2019 my Twitter feed is full of images and descriptions of children having a great time doing science. Today I have seen children launching rockets, using shaving foam to model the water cycle, finding out how robots work, observing a wide range of living things including skunks and chameleons, and cleaning up the plastic items washed up on beaches. Why not take a look yourself – search for the hashtag #BSW19 on Twitter. Every activity I have seen looks purposeful, interesting and memorable. I can see that children are engaged, and I can see that they are feeling positive about science. I can also see how each activity fits into the Programme of Study for Science. Clever teachers! So why is Ofsted concerned that activity-led learning is not effective? In a recently published report: Intention and substance: further findings from the phase 3 research: primary science February 2019, inspectors identified a recurring problem where children are working scientifically, ‘but it is the experiment that is memorable and not the underlying knowledge intended to be learned’. I know what they mean – I’ve seen and taught lessons where there was a lot of doing and not much learning, where everyone remembered that a mixture of a powder and a liquid caused the balloon to inflate, but they don’t know the names of the materials they used and can’t explain how they know it was an irreversible change. It’s the asking and answering the question that is important, because that ensures that the activity leads to learning. And that’s the danger of activity-led learning: choosing an activity for children to do because it will be engaging, rather than educational. But this is not working scientifically, which requires children to carry out activities (often, but not always practical) to gather evidence in order to answer a question about the world around them. It’s the asking and answering the question that is important, because that ensures that the activity leads to learning. I don’t know what questions the children on my Twitter feed were gathering evidence to answer, because I can’t talk to them, or see their work, or hear their explanations for the phenomena they have observed, or the model they have used. 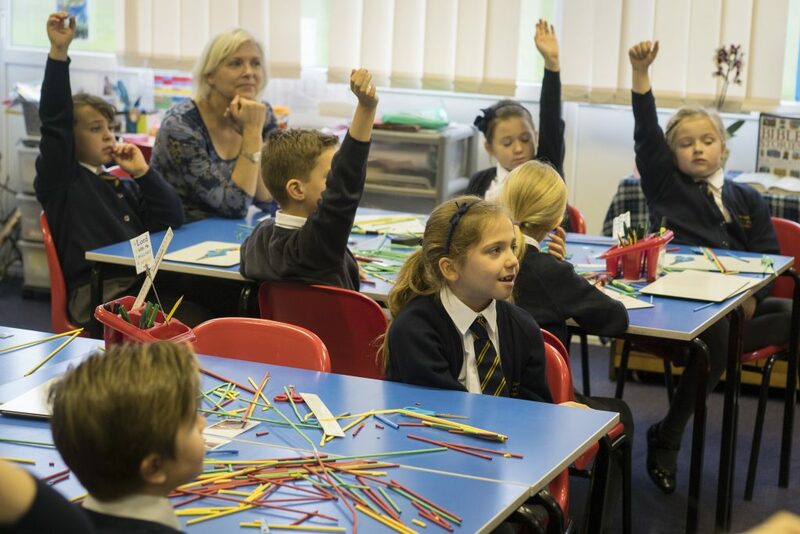 But I do know that all the hundreds of activities included in the Snap Science Teaching Framework are designed to enable children to answer questions about the world around them. In every Snap lesson children use authentic scientific skills to carry out an investigation; but the most important part of the lesson is when they use the evidence they have gathered to answer the question that prompted the investigation, when they reflect on what they have done express their learning in an explanation or conclusion. Scientists don’t do to experiments to get better at doing experiments – they do them to find something out. A very dear, sadly now departed, friend of mine once remarked – ‘scientists don’t do to experiments to get better at doing experiments – they do them to find something out.’ That is what happens in every Snap lesson and I hope it has been happening in all those wonderful pictures on my Twitter feed. Engaging activities leading to conceptual science learning – this is working scientifically at its best. This blog has been written by Associate Professor Jane Turner, Snap Science Series Editor and Director of the Primary Science Quality Mark. Develop conceptual knowledge with Snap Science, using practical exploration and investigation activities to inspire the whole class. Follow us on Twitter @CollinsPrimary for more British Science Week ideas and resources!